OUR FINAL DAY IN THE U.K. So today is our last day in London; indeed, it’s our final day in the UK! 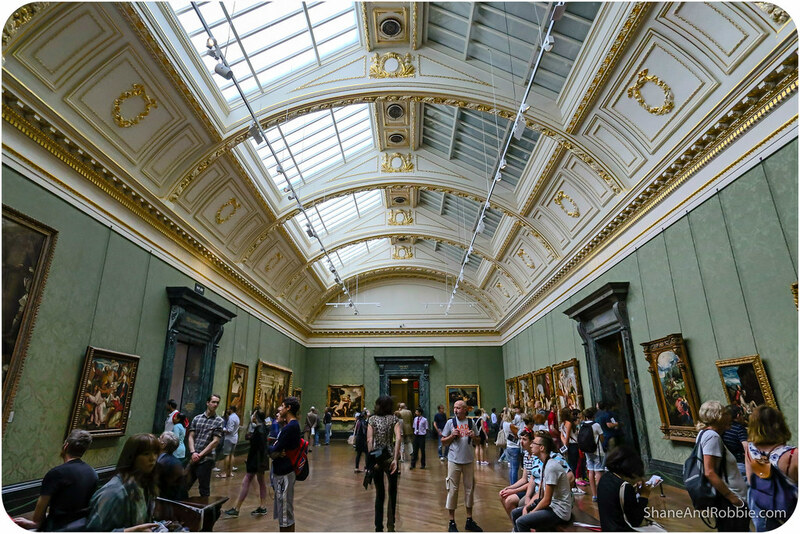 We’ve had a pretty busy week sightseeing in and around London and so decided to take it easy today, taking the time to visit some of art galleries and museums we passed during the last few days. 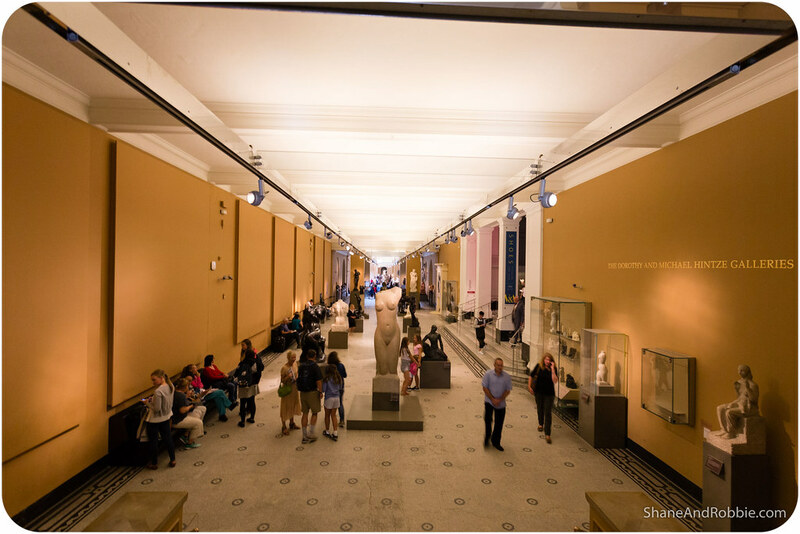 There are so many weird and wonderful museums and galleries in London (e.g. Sherlock Holmes Museum, The Beatles Museum, Museum of 17th Century Dolls), that it can be a little mind boggling. 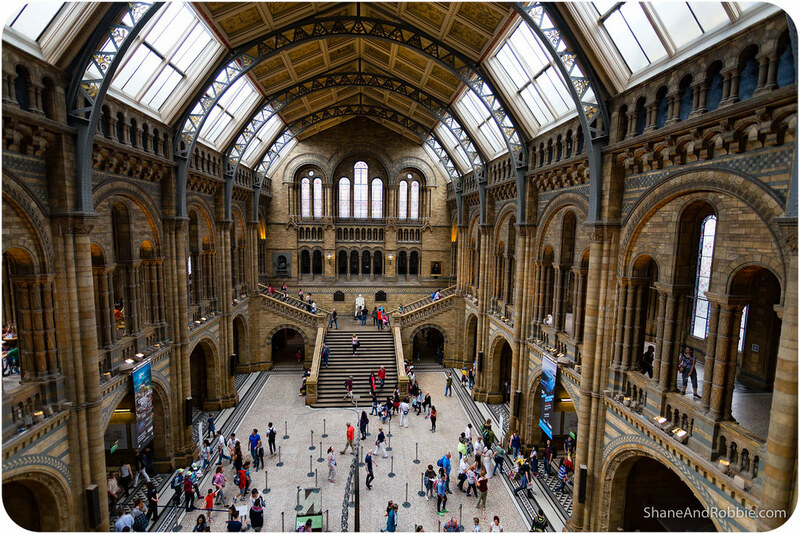 Our pick for the day however were: the British Natural History Museum, The Victoria and Albert Museum, and the British National Art Gallery. Pretty mainstream really, but all very cool. 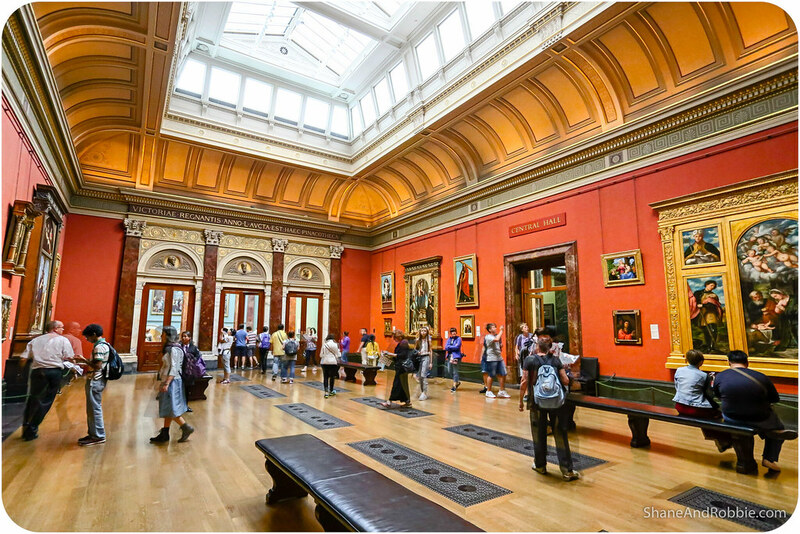 After a coffee and croissant at our (newly discovered) favourite Notting Hill café we set off on the Tube (like the pros we are now) to Kensington to the “museum district” near Kensington Palace. 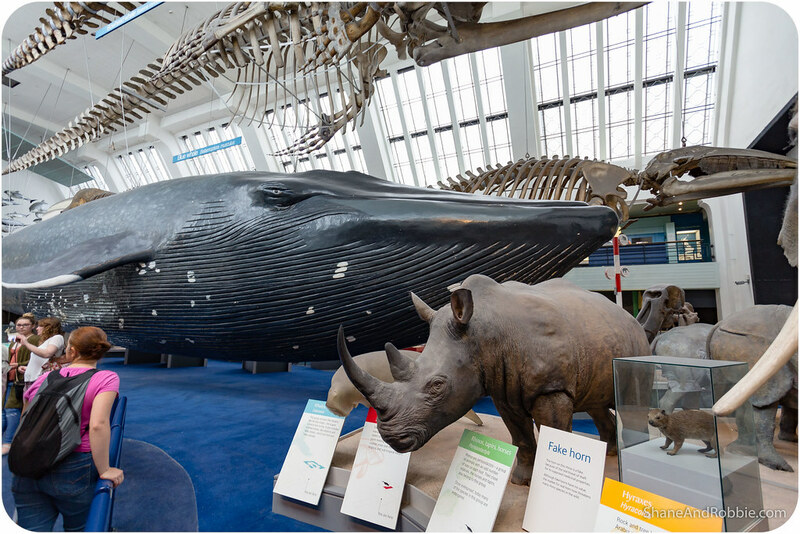 First stop: the Natural History Museum, where a vast array of specimens from the natural world are all gathered under one enormous roof. 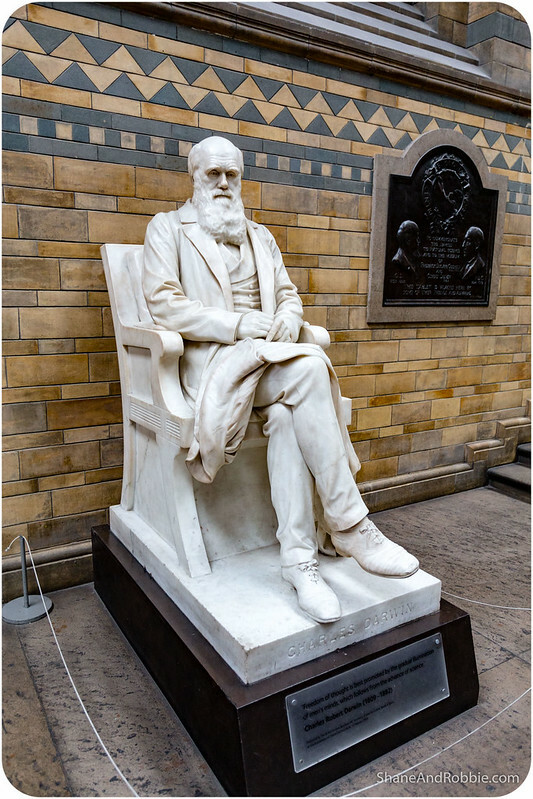 Watched over by Charles Darwin himself (or a likeness thereof at least), the Natural History Museum is home to 80 million different life and earth science specimens. Categorised into 5 main areas: botany (i.e. plants and greens), entomology (i.e. creepy crawlies), mineralogy (i.e. rocks and stuff), palaeontology (i.e. DINOSAURS – YEAH! 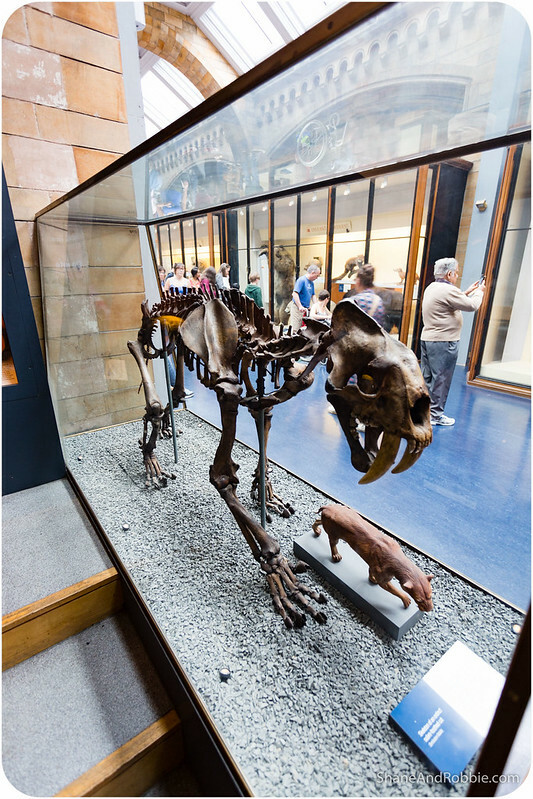 ), and zoology (i.e. other animals). 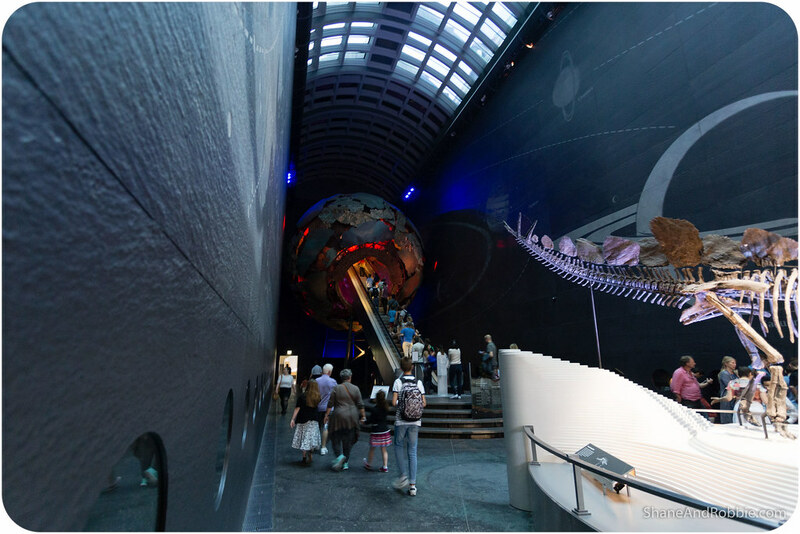 In case you haven’t worked it out, our favourite part of the museum was indubitably the dinosaurs. So cool! 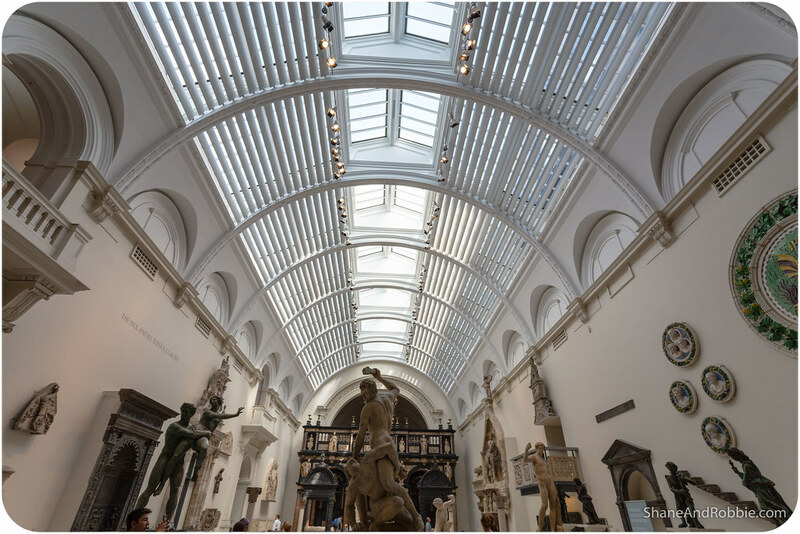 After a few hours selectively* strolling through the halls of the Natural History Museum we crossed the road to the Victoria and Albert Museum, better known simply as the V&A. 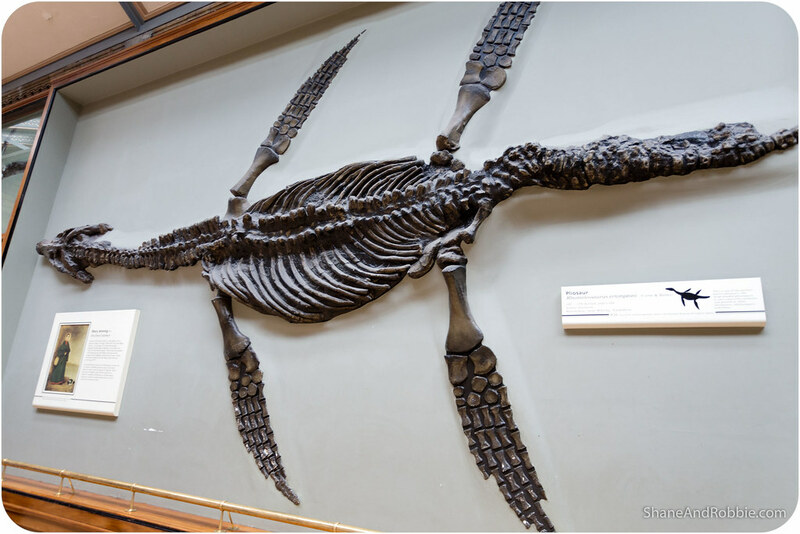 *Who’s got the stamina to see 80 million specimens?! 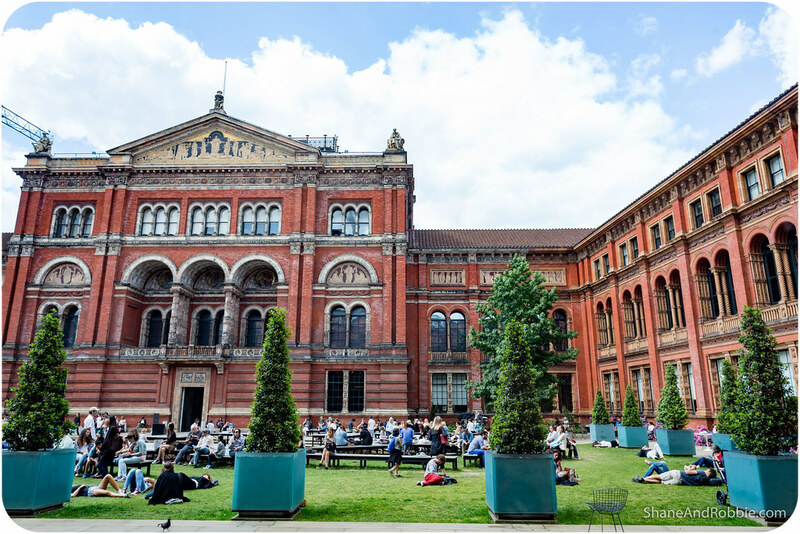 Founded in 1852, the V&A is named after Queen Victoria and her husband Prince Albert. 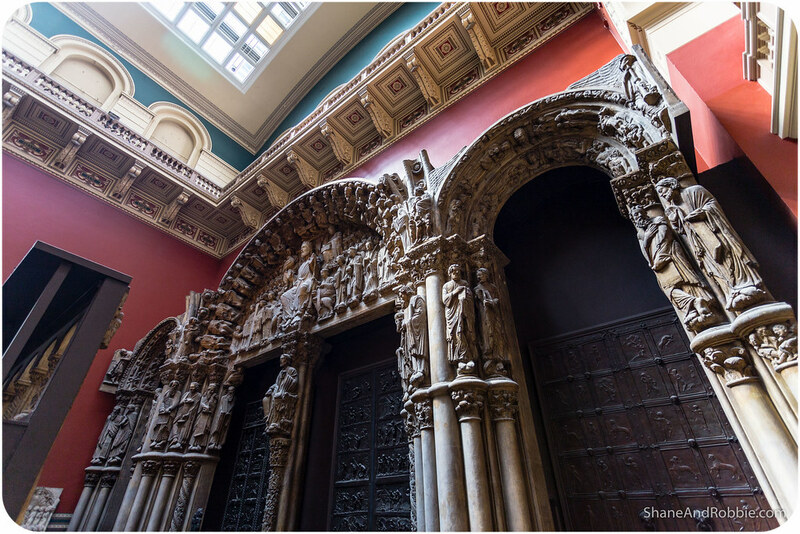 It’s the world’s largest museum of decorative arts and design, housing a permanent collection of over 4.5 million objects spread across 145 galleries. 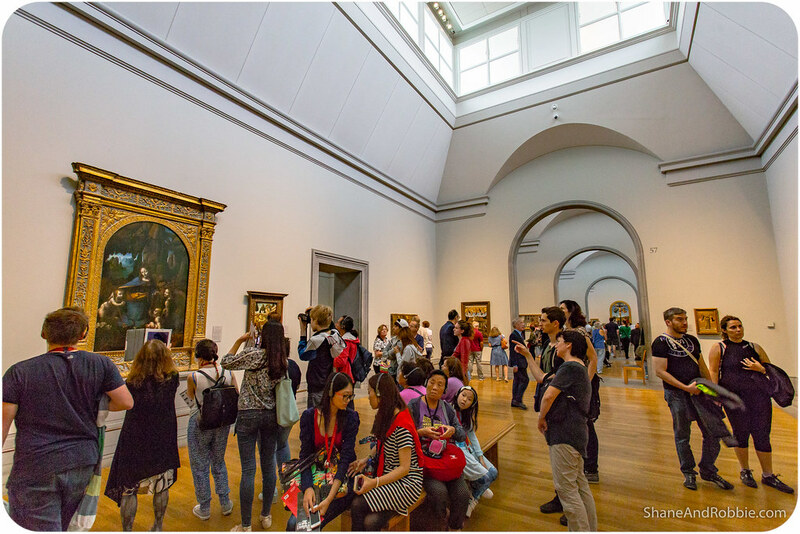 There were art pieces and sculptures dating from ancient times to the present day; from the cultures of Europe, North America, North Africa, and every part of Asia; and from artistic disciplines as varied as ceramics, glass, textiles, silver-work, iron-work, furniture, sculpture, printmaking, drawing, and photography. 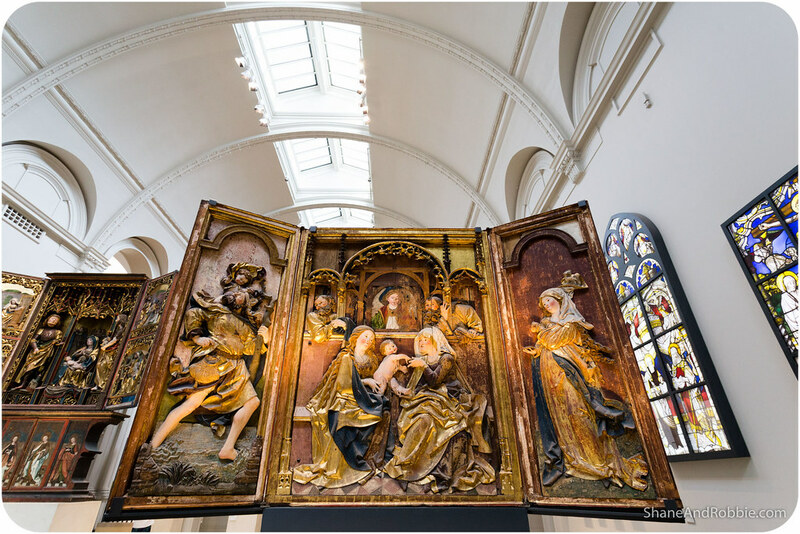 It’s hard to describe how captivating a museum like the V&A can be – even the photos cannot do it justice. 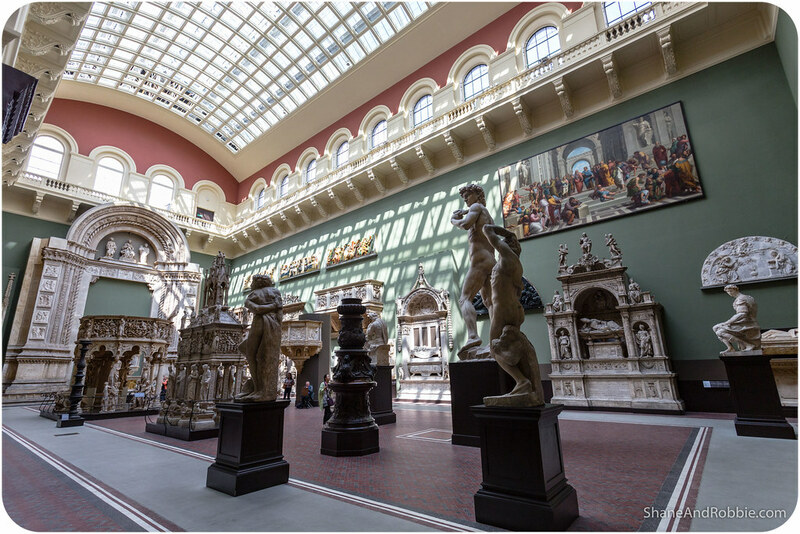 It’s just one of those things…if you enjoy museums, you’ll understand how we could lose ourselves for hours in amongst the galleries. 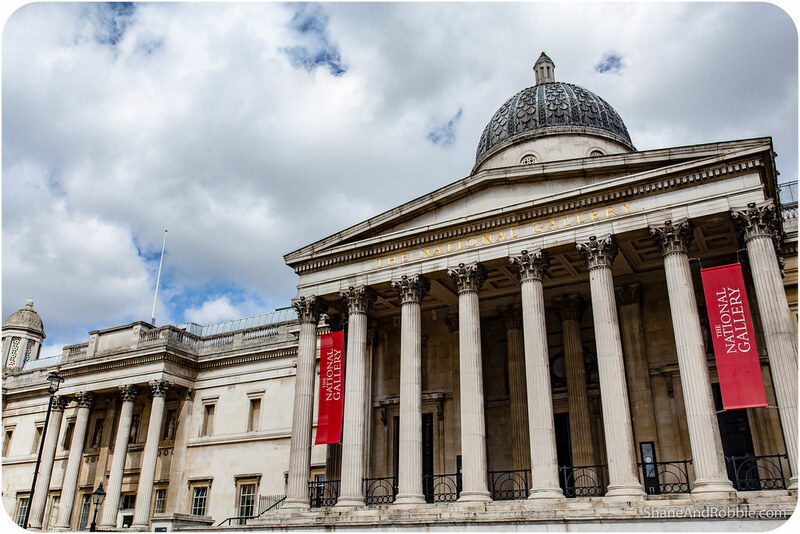 Our last, but certainly not least, stop of the day was the National Art Gallery in Trafalgar Square. 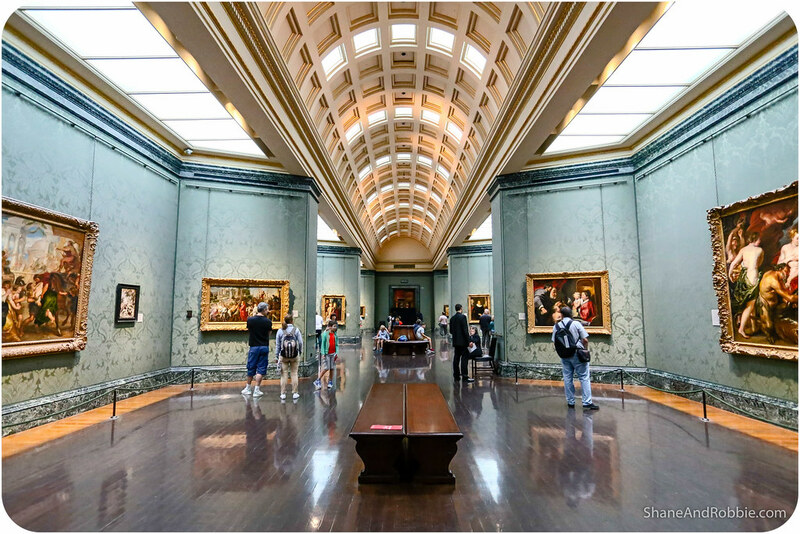 Founded in 1824, this gallery houses a collection of over 2,300 paintings dating from the 13th century to today. 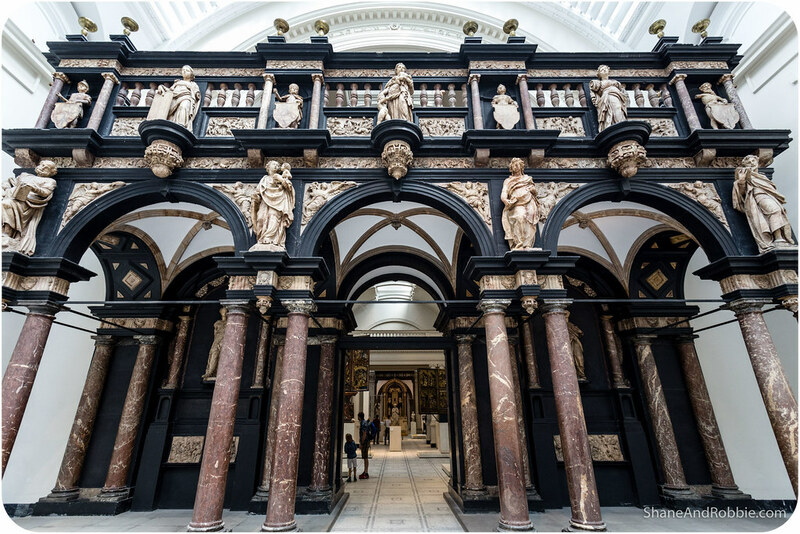 Unfortunately we couldn’t get in to see a number of the paintings as the gallery’s curators are on strike at the moment, and those rooms were locked shut (seriously?!). 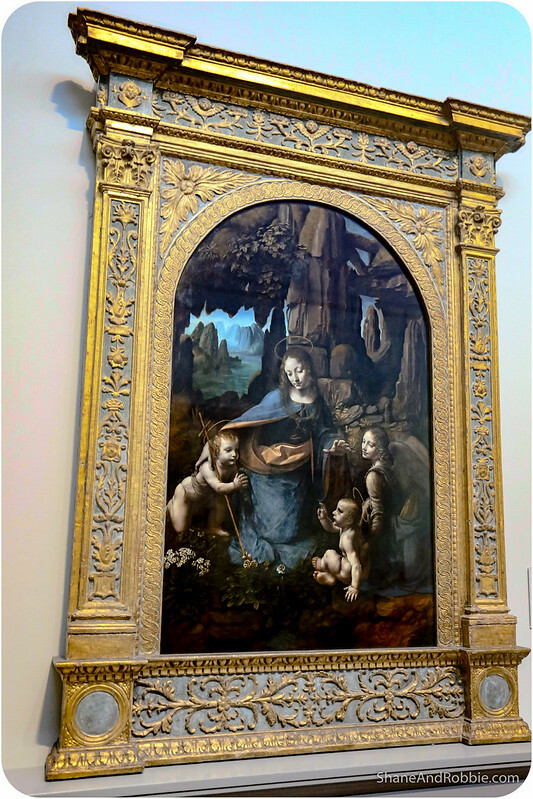 What we COULD get in to see was pretty impressive, however, with the most famous piece we saw being Leonardo da Vinci’s “The Virgin on the Rocks”. After a couple of hours peering at paintings we called it a day and made our way westwards one last time, back to our little studio apartment for one final evening in London. We’re sad to see our last sunset in England, but REALLY excited about moving on to mainland Europe tomorrow! 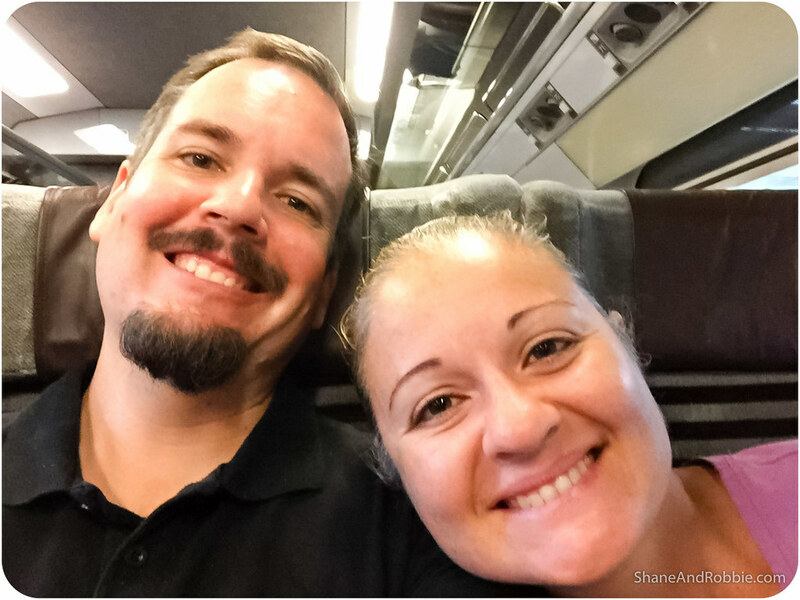 We’ve booked ourselves on a Eurostar train for tomorrow morning, bound first for Brussels then Amsterdam. No more bangers and mash, steak and ale pies, or fish and chips; no more of the Queen’s English or funky British accents; and no more unfailing British politeness. 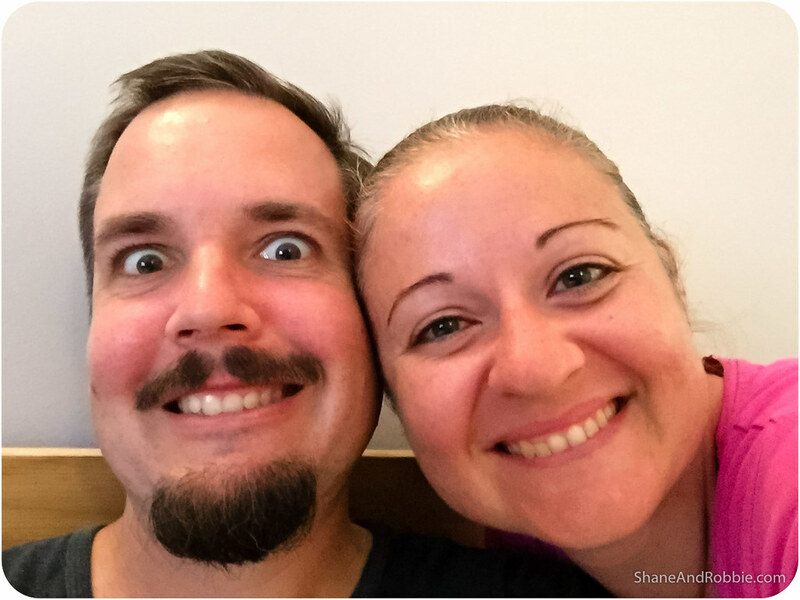 Still, we’ve got 3 months in Western Europe to look forward to now which is awesome (see how excited Shane is)!